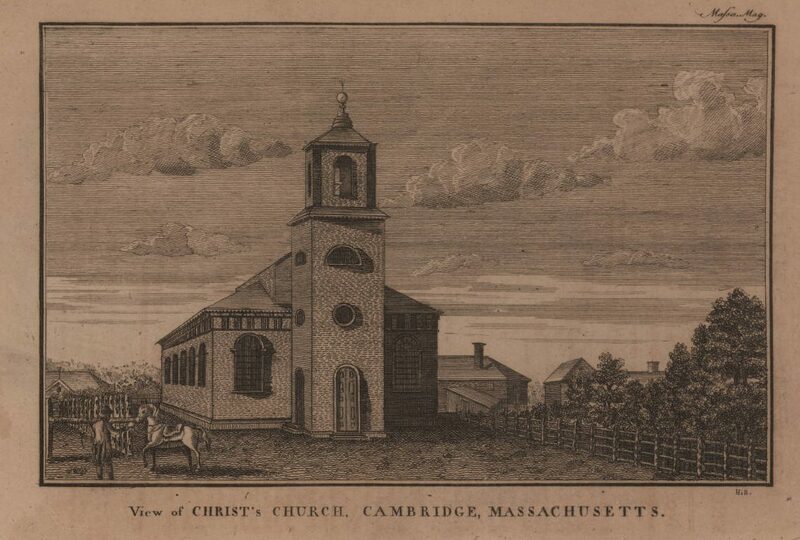 View of Christ's Church, Cambridge, Massachusetts. “Beyond the Half-way Covenant” redefines the New England church membership crisis of the 1650s and 60s as a crisis of outreach, rather than a crisis of declension. It examines family strategies and ancestral networks in Cambridge, Massachusetts and argues that Jonathan Mitchel, the minister of Cambridge Church, used extended baptism – later denigrated as the “half-way covenant” – to bring the children of unchurched Cambridge residents into church fellowship—not to baptize the children of second generation non-communing members. “Beyond the ‘Halfway Covenant’: Church Membership, Extended Baptism, and Outreach in Cambridge, Massachusetts, 1656-1667,” The New England Quarterly 85:2 (2012), 281-301.